Chimney systems play an integral part in the heat production and comfort of your North Plainfield and Bridgewater, NJ residence. Because of this, it is critical to have your chimneys cleaned every single year. According to the National Fire Protection Association, homeowners should have their chimneys, fireplaces, and vents assessed annually, as to prevent any avoidable accidents like fires. Chimney fires are the result of several factors that are easily avoidable, which include, incorrect wood burning practices, bulky and antiquated stoves and flues, fires left unsupervised, and serviceman who install and provide chimney service work, but don’t have accurate training and equipment. Because of this, you want to ensure your chimney gets the proper cleaning. At DRX Duct, we offer chimney cleaning in North Plainfield and Bridgewater, NJ that is efficient, timely, and high-quality. A dirty chimney will not only make a home dirty, but it can be hazardous, as well, so call the professional HVAC technicians today at 908.755.2950 for expert North Plainfield and Bridgewater, NJ chimney cleaning. Mortars cracking or collapsing altogether. 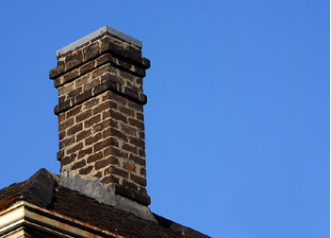 Creosote can explode through the chimney and make its way to your roof. Cracked and broken flue tiles. Stainless steel liners will start to distort due to the heat, causing it to buckle and even detach from the seam. Flames can spread from your roof to your home’s structure and have the capacity to make its way into several rooms of a house. These things can lead to serious injuries, and can even lead to fatalities. What’s more alarming is that chimney fires can start without anyone being aware of it. Because of this, chimney cleaning is paramount to the safety to of you, your family, and home. At DRX Duct, we provide thorough chimney cleaning in New Jersey that will eliminate the possibility of chimney fires from every happening in your home. To set up an appointment for chimney cleaning, call us today at 908.755.2950. The best way to guarantee that you never have a chimney fire is to have your chimney cleaned. The technicians at DRX Duct have years of experience cleaning chimneys in North Plainfield and Bridgewater, NJ, offering quality service at an affordable price. We are committed to offering our customers better service by being completely thorough, never leaving a messy work area, performing timely service, and ensuring affordable prices. We pride ourselves on delivering chimney cleaning services that are honest, with no hidden fees or surprise increase in payment, or leaving out details about the work we are performing. The DRX Duct customers are extremely important to us; we treat every customer like they were our own family because customers of DRX Duct are like family, which is why we will always guarantee the best chimney cleaning in North Plainfield and Bridgewater, NJ. If you are looking for chimney cleaning, call the professionals today at 908.755.2950 to get your chimney looking better and decreasing the chance of fires in your home. Updated on September 24, 2018 at 9:02 pm by DRX Duct Cleaning.